All of my paper is handmade from plant fiber. The plants are all wild plants of the prairie region found in Kansas. All paper is made from 100% plant fiber. My Paper Proucts Store has individual sheet of paper for sale as well as note cards and bookmarks that can be purchased.. Some plants used to make my paper include milkweed, mulberry, and cat-tail. The types of fiber used include bast fiber found along the stem of the plant, the fiber attached to seeds, and leaf fiber such as from grasses. My Plant Fiber Paper Gallery contains images of my paper made from different plant fiber and combinations of plant fibers. It's an involved process to take plants and turn them into paper, but learning the process is fascinating. 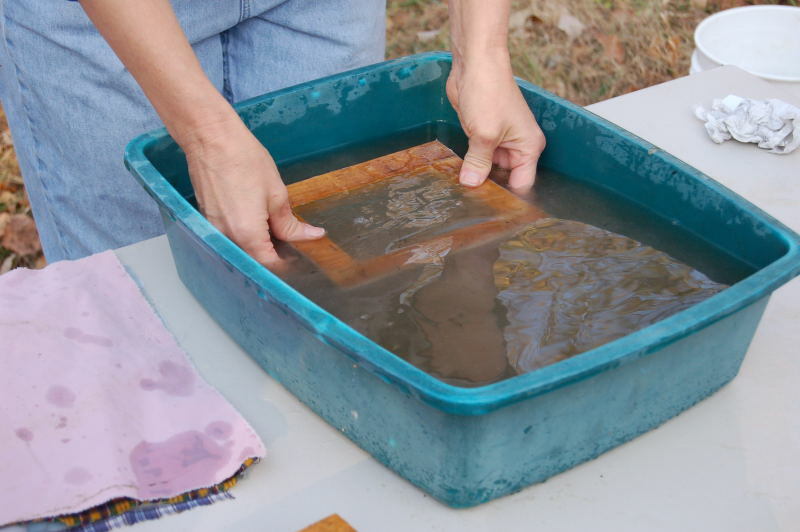 Every year I teach a workshop on making paper from native plant fiber. You'll be amazed how you can take milkweeds, grasses, and other plants and turn them into paper.